The prophet Joel predicted thousands of years ago that in the End Times the Lord would “show wonders in the heavens, and in the earth, blood and fire and pillars of smoke.” He also said, “The sun shall be turned into darkness, and the moon into blood before the coming of the great and awesome day of the Lord” (Joel 2:30-31). In the sections on World War III this prophecy was seen to be associated with a coming nuclear holocaust, which will take place during the Great Tribulation or the last 3.5 years of this age. Some have also seen in this prophecy a correlation to the presence of blood moons, which are astronomical phenomena associated with full lunar eclipses. A full lunar eclipse typically causes the moon to look red due to the refracting of sunlight around the Earth, which bends light through its atmosphere before it illuminates the moon. Thus, these events are typically called blood moons due to their color characteristics. A set of four consecutive blood moons occurring in a row over a period of two years is called a tetrad and is considered a blood moon series. During ancient times in Israel, the advent of a blood moon was often considered a sign or an omen from God of coming events. This was true in many cultures throughout history, and astrologers often attempted to predict them, although with a large amount of error. However, any series of blood moons could not have been predicted, especially before the advent of modern orbital mechanics and computers, which can now anticipate the occurrence of blood moons even if they happen in various locations around the world. In fact, a series of blood moons such as a tetrad involves lunar eclipses that can only be seen at discrete locations on the Earth, and each blood moon of the tetrad never occurs at the same location twice. Therefore, only in relatively recent times could we have knowledge of blood moon tetrads and predict them regardless of where they might occur. Note: Johannes Kepler first determined the mathematical principles necessary to model planetary orbits and published them in 1605. Isaac Newton subsequently published more general laws of gravitation and celestial mechanics in 1687. Before this time, the orbits of gravitating bodies such as planets and moons were not accurately calculable; therefore, the prediction of blood moon eclipses was only attempted by the visual tracking of the sun and moon through their orbits. The occurrence of a blood moon in ancient times would often be a surprise and a tetrad series would be completely unknown. However, now with computer technology to do simultaneous calculations of multiple orbiting bodies, an eclipse of the moon or a series of tetrads can be anticipated with great precision. Several years ago, it was noticed that a tetrad or a series of four blood moons would occur from April of 2014 to September of 2015. Pastor Mark Biltz of El Shaddai Ministries of Bonney Lake, Washington first spoke about this phenomenon in 2008 and eventually published a bestselling book in 2014, “Blood Moons: Decoding the Imminent Heavenly Signs”. The dates of the four blood moons Biltz wrote about are April 15 and October 8 of 2014 and April 4 and September 28 of 2015. As if that was not enough, the blood moons would be further punctuated by other significant astronomical events, including a full solar eclipse on March 20, 2014 and a partial solar eclipse on September 13, 2015. The blood moons of 2014-2015 would turn out to be highly unique in that they would also fall on the Jewish holy feast days of Passover and Sukkot (Feast of Tabernacles) during both years, which is a very rare occurrence. Tetrads of blood moons falling on Jewish feast days have been previously correlated to major events in the history of Israel and the Jewish people. For instance, there was a blood moon tetrad during 1949-1950 that was associated with the first Arab-Israeli war after Israel became a nation in 1948. This tetrad thus accompanied the reestablishment of the Jews back to their homeland after the defeat of their Arab enemies. In addition, another rare tetrad occurred in 1967-1968 during the period when Israel regained control of Jerusalem during the Six-Day War. Incredibly, both of these earlier tetrads also had blood moons that fell on the same Jewish feast days, making this set of three tetrads which are separated by decades, extremely rare and worthy of notice. Could it be that God is causing these signs as a visible reference to Israel now that they have become a nation again in the last days? However, it is not just the occurrence or presence of blood moons in general that makes them important signs. There have been other recent tetrads that didn’t correlate to any major events in the world or to Jewish feast days or events associated with Israel (i.e., the tetrad of 2003-2004 and the tetrad of 1985-1986), so we must be careful not to ascribe special significance to every tetrad of full moon eclipses. In addition, we should remember that there are no verses in the Bible that associate blood moon tetrads with any definite prophetic signals related to Israel, so these events are not strictly related to End Times prophecies. The final blood moon of the current tetrad is scheduled to happen on September 28, 2015. This coincidentally is also close to the end of the Shemitah year of 2014-2015, which started on September 25, 2014 and ends on September 13, 2015. This is the special Sabbath year that was commanded by Moses that Israel follow once they were established in their land after the Exodus (Leviticus 25:3-4). For six years Israel was to grow crops and harvest them, but on the seventh year there was a Sabbath for the land in which no crops would be planted. This was designed to be a year of rest and a built-in release or down time for the economy. Jonathan Cahn has speculated in his book “The Mystery of the Shemitah” that the coming Jewish year may also be a true Jubilee year, which only occurs once after every seven Shemitah years. Seven Shemitah years equals 49 years and the year following the seventh Shemitah, the 50th year, is the Jubilee. A tetrad of blood moons that precede a Jubilee year could foreshadow major events happening to Israel and to the world. It is difficult to predict such events beforehand, because they do not relate to definite Biblical prophecies; therefore, relying too much on on these potential signs could result in errors or false predictions. However, the final day of the Shemitah has been incredibly correlated to major economic collapses of the world’s economic system. Some of the most significant economic depressions and recessions have occurred during Shemitah years, especially at their end. Could the intersection of the Shemitah with the blood moons be a further sign that something of significance is about to happen? Something momentous may indeed occur during this period; however, we must remember that God cannot be put into a box and made to perform according to our calculations. Therefore, we should remain alert but not anticipate any events that we define as needing to occur during this period. Even though nothing of any significance has to happen at the end of this tetrad, it is nonetheless very important to watch and be ready for the next major event on the End Times calendar. Another major prophetic event related to Israel may push us closer to the start of Daniel’s Seventieth Week or the final seven years of this age. If two previous tetrad sequences were associated with the reestablishment of Israel and the capturing of Jerusalem, then what if anything might this one portend—perhaps another Mideast war or the rebuilding of the Jewish Temple? One major event that already occurred after the start of the blood moon tetrads in 2014, was Israel’s war with Hamas in the Gaza Strip in July-August 2014. Israel engaged in a major operation to eliminate the threat from this terrorist group and destroy their missiles and underground tunnel networks entering Israel from the west. Hundreds of missiles were launched at Israeli cities during this war, but the Israel Defense Forces responded with overwhelming military power. As a result, the Gaza region home to millions of Palestinians was significantly affected and much of it was destroyed by air strikes upon known Hamas arms and missile locations. Another significant event during this recent tetrad was the signing on July 14, 2015 of an international agreement with Iran over their nuclear program. This agreement was fiercely opposed by Israel, because Iran has sworn to destroy the Jewish nation. However, the Bible predicts in Ezekiel 38-39 that in the Last Days a powerful nation will attack Israel from out of the north. These prophecies were discussed in the sections on World War III and correlated to the nation of Russia. Ezekiel predicts that one of the allies of Russia during this attack will be Persia, which is modern day Iran. Iran is moving to be a nuclear power and a strong ally of Russia, just as the prophecies predict. The signing of this agreement with Iran virtually assures that they will continue on this path until the final battles of the End Times occur. However, contrary to this statement there wasn’t any full lunar eclipses in 1948 (see this list of 20th Century lunar eclipses). There was however a tetrad during 1949-1950 that did fall on the Jewish holy days of Passover and the Feast of Tabernacles, just as does the tetrad of 2014-2015. This is a dramatic statement that categorically says that this is the last tetrad and there won’t be any more sequences of four blood moons in the Twenty-First Century after the 2014-2015 series. Unfortunately, this statement is completely untrue. 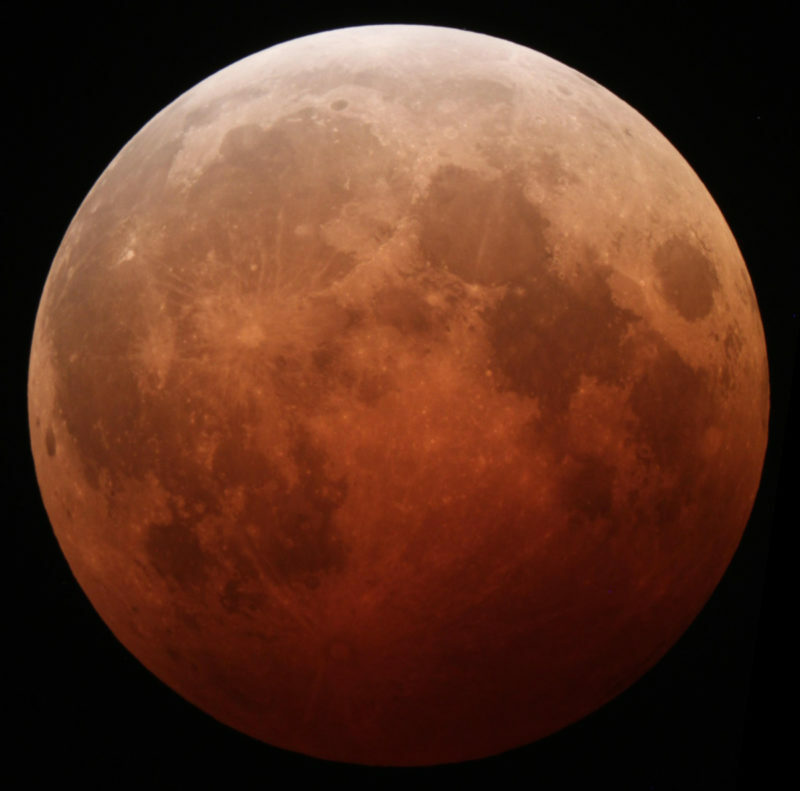 There will be many more tetrad events during this century—in fact a total of six—and the complete list of lunar eclipse events can be found at this page of Wikipedia for reference. Look for full lunar eclipses in the list and for four of them in a row, which is a tetrad. What is true is that there won’t be any more tetrads that fall on Jewish holidays, because this is in fact extremely rare. John Hagee and other authors who have written about these blood moons have made huge amounts of money off books and appearances (Hagee alone has sold over 1 million copies of his book). Unfortunately, Hagee also has claimed to be the first to decode the blood moons signs, but he actually found out about the events and was taught by Mark Biltz during 2008. Books like Hagee’s can be interesting, but we must be careful when reading them, as they don’t have a specific prophecy within the Word of God as their foundation, so they may not turn out to be relevant to End Times events at all. Jesus did say that “there shall be signs in the sun, and in the moon, and in the stars” before He returns (Luke 21:25), so the blood moon tetrads may fall into this category of signs. However, someone making a specific prophecy related to these events is something entirely different. The Bible has actually given us an important test of a prophet to see if someone claiming to be one is real or not. The Lord tells us that if what a prophet says comes true in its entirety, then the prophecy was from God, because only God can predict the future; however, if what the prophet says does not come true to the very last detail, then the person is a false prophet and should not be listened to. This is very serious, because extra-Biblical prophecy dealing with the End Times could potentially lead people astray. In addition, if false prophecy that captures a lot of attention does not come true, it could cause people to be frustrated and think that everything dealing with the End Times is false. Trying to predict the date of a future event has been a continual trap that many people have fallen into when writing about the End Times. We all want to know when the major events of the last days will occur. It would be fantastic if we were able to calculate them through cleaver mathematical schemes or to figure them out through looking at astronomical signs like blood moon tetrads. Unfortunately, the Bible does not give us the dates of End Times events in advance, and the timing of events in the last days can not be calculated except after the start of Daniel’s Seventieth Week. Jesus said that only the Father knows the absolute timing of all events (Matt. 24:36). Does this mean that the Blood Moons of 2014-2015 mean nothing? No, not necessarily; it may in fact be a sign to Israel that a major event will occur. However, we can’t know that for certain based upon Biblical prophecy, so the best that we can do is to watch what happens and stay alert for the unfolding of End Times events. In other words, don’t put too much stake in blood moon prophecies, but don’t ignore these events either. If by the end of 2015 nothing more of any significance has happened, then it is likely that the latest blood moons were just a coincidence and not a sign from God.